This #tbt post is also just another attempt to relive summer. 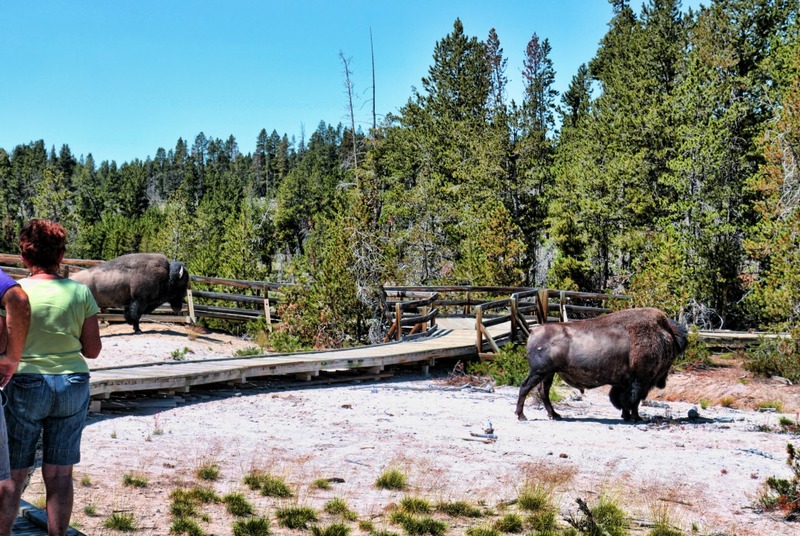 We were on the half-mile loop that encompassed Mud Volcano, Dragon’s Mouth and some other mud pots when we saw a lone Bison in the center of the loop. The boardwalk did not have hand rails separating the humans from the animals, and he was getting awfully close to the walkway. At one point, it looked like he was going to walk along with boardwalk with us. 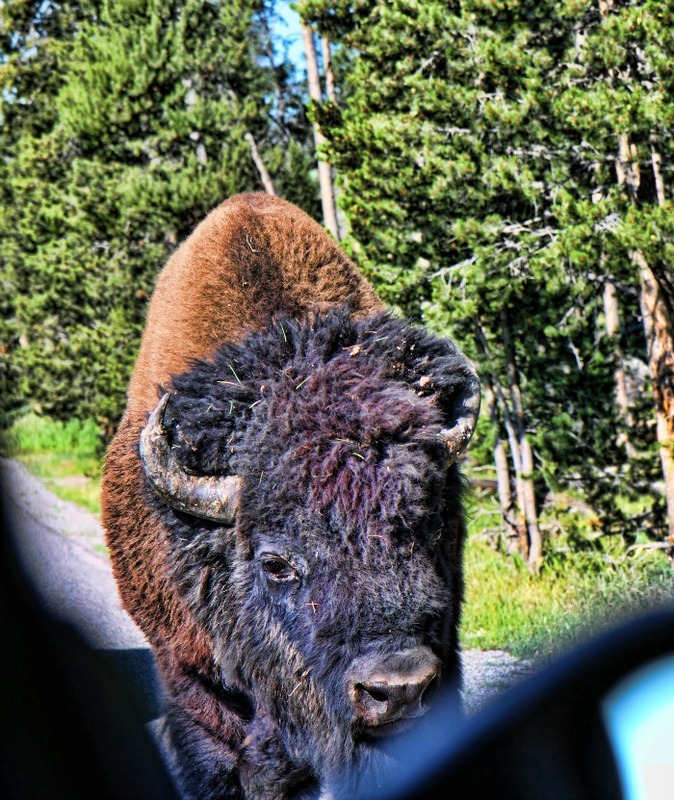 I was a little leery of being so close to something so wild, but the full on panic didn’t set in yet. That wasn’t until we saw the second bull, a few yards away sitting idly. Until he wasn’t sitting anymore. My goals for the day went from “Get in a 10-mile run” to “Run a few miles but get in at least 10 miles of hiking” all the way to “Get me out of here alive.” Dramatic? Probably. But seeing a 2,000-pound animal literally ten feet away and coming closer, making suspicious grunting sounds and kicking up dust with its legs doesn’t exactly scream “take pictures of me, I won’t bite.” I wanted out of there and quickly nixed the 6-mile hike we had next on the agenda. I wish I was a little more fearless but I can’t help the fact that the possibility of getting closer to a wild animal than a zoo exhibit sends my heart into a panic. 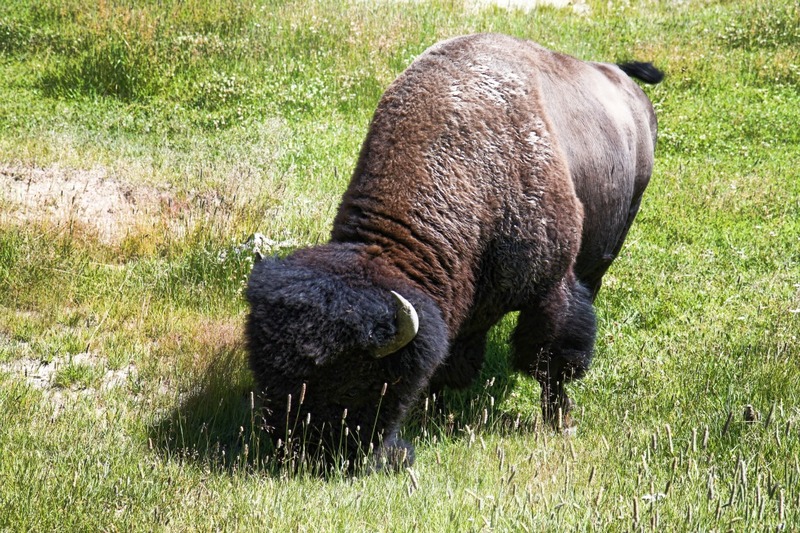 I got my cardio exercise today from bison sightings alone! 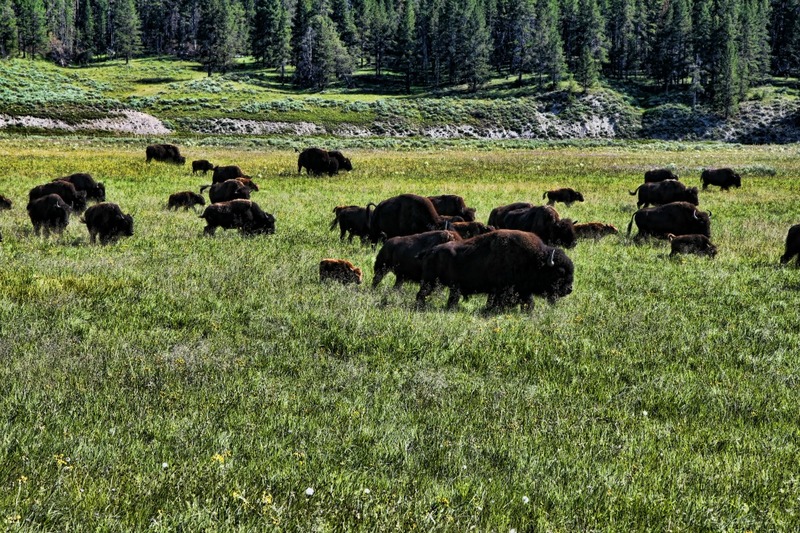 Posted on February 19, 2015, in Fitness, Healthy Habits, Real Life Stuff and tagged bison sighting at Yellowstone, Healthy college student, Runner, Summer vacation in Yellowstone, Yellowstone National Park. Bookmark the permalink. 3 Comments. I love these memories! #TBT!